On top of $804,000 Putnam has directly received from Big Sugar, Putnam's campaign has received another $7.6 million from five political action committees that received a major portion of their contributions from the industry, or one out of every five dollars Putnam has collected so far. "I support our Glades communities," he said during an April television interview with WPTV in West Palm Beach, speaking of the areas around the Everglades where sugarcane is grown. "I support giving them the opportunities to have good jobs … And I think they're a viable, vibrant part of our economy, and the water that leaves sugar farms is cleaner than the water that comes on to them." He said the challenges facing Lake Okeechobee, the Everglades and the coastline go beyond sugar and include everyone who has moved to a state once covered by wetlands. It's not as simple as taking out "the bad guys," he said. Putnam's GOP rival Ron DeSantis and all five Democratic candidates have been painting the sugar companies as corporate greedheads who don't care what damage they do to the rest of Florida. Last month DeSantis, a congressman unpopular with sugar companies since he voted against giving them federal price supports, told the GOP Sunshine Summit in June that Putnam and Big Sugar are "tied at the hip." For once, environmental groups are on the same side as DeSantis, even though he was endorsed by President Trump, whom they dislike. Kimberly Mitchell, executive director of the Everglades Trust, has dubbed the agriculture commissioner "Pay-to-Play Putnam." Putnam's campaign spokeswoman couldn't explain why he's still taking sugar money at a time when the industry is so unpopular. Instead, Meredith Beatrice pointed out that some other candidates took sugar contributions in prior campaigns, then stopped. Now, she said, the other candidates "are fueled by out-of-state special interests." Beatrice said Putnam is "the only candidate who isn't controlled by the Washington swamp." Republican lobbyist and campaign consultant Towson Fraser said he didn't think Putnam's ties to sugar would hurt him in the long run because so many people who work in agriculture will still vote for him. Meanwhile, Ben Wilcox of the government watchdog group Integrity Florida said he's glad to see so much attention being paid to who's financing the candidates. "So much cash flows into these campaigns that we need to hold people accountable for who their funders are," said Wilcox. He said politicians ought to be like NASCAR drivers who emblazon the names of their sponsors on their cars. The big question, Wilcox said, is what Big Sugar expects from Putnam in return. No one from either U.S. Sugar or Florida Crystals, the state's biggest sugar companies, responded to numerous calls and e-mails seeking comment. 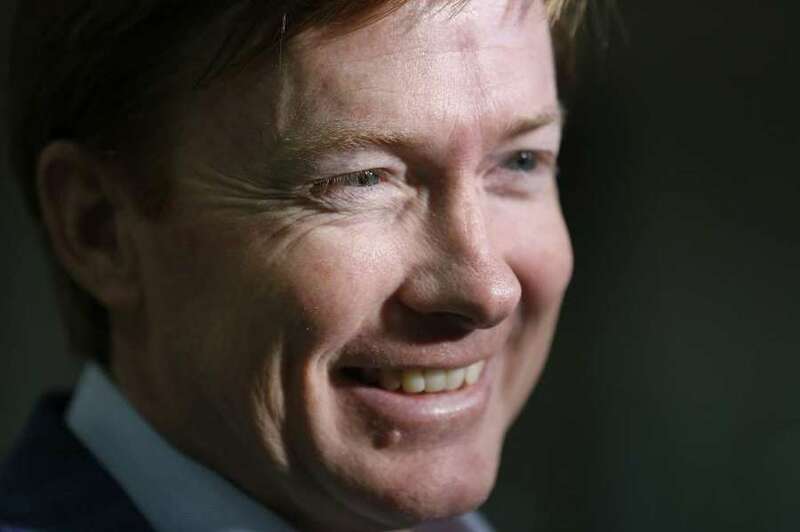 Putnam grew up in the Central Florida town of Bartow, known for cultivating citrus and producing cattle — not sugar. State records show he began taking money from the sugar industry as far back as 1996. That's the year he was first elected to the Florida House of Representatives at age 22, becoming the youngest legislator in state history. • In 2008, when then-Gov. Charlie Crist wanted to buy all of U.S. Sugar's land for use in Everglades restoration, Putnam sided with Florida Crystals in opposing the purchase. • In 2010, he halted a Department of Education effort to ban chocolate milk and most other high-sugar drinks in Florida schools, then took over the school breakfast and lunch programs. • In 2013, when two sugar companies wanted no-bid, long-term leases for 14,000 acres of state land that was supposed to be used for Everglades restoration, Putnam joined his fellow Cabinet members in a unanimous yes vote. • And in 2017, when Senate President Joe Negron backed a plan to build a big reservoir south of Lake Okeechobee to hold excess water when it fills rather than dumping it to sensitive estuaries on the east and west coasts, Putnam sided with the sugar companies that opposed it. He suggested Negron's plan was just a political ploy to satisfy his district, which includes the area hardest hit by toxic algae, and there were better ways to spend the state's money. Putnam has stuck to his pro-sugar positions even when they have been unpopular. 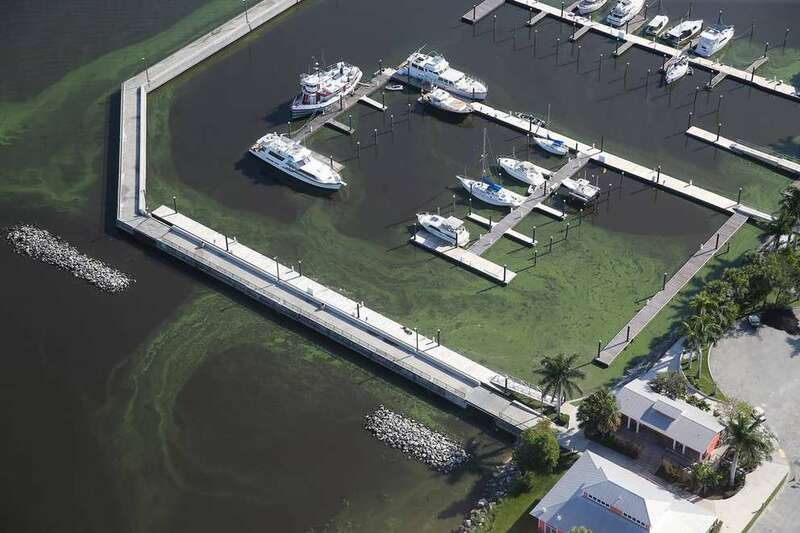 In 2016, when a toxic algae bloom from Lake Okeechobee that one Stuart resident said smelled like "death on a cracker" had migrated to the state's east coast, Putnam visited the area. He was surrounded by hecklers and sign-waving protesters shouting obscenities at him. Putnam's alliance with sugar has paid some unusual dividends, too. In 2014, when the Tampa Bay Times uncovered a pattern of top Florida Republican officials taking free hunting trips to the King Ranch in Texas that were paid for by U.S. Sugar, Putnam was one of those who admitted taking the trips. When a reporter pressed him for details, he retreated into his office and his spokeswoman closed the door on the reporter. Once again, the question left unanswered is what the sugar companies wanted in return. For more than 24 years, consultant Tom MacVicar has been a powerful voice for Florida's sugar industry in dealing with state agencies. He's so influential with the South Florida Water Management District that his office has been referred to as "the shadow district." MacVicar also has another big-name client: Putnam. Putnam's agency routinely pays MacVicar's company $35,000 a year for "influencing the water-related issues important to agriculture in South Florida." Documents show the money that pays him comes from a state fund for buying environmentally sensitive land. Agriculture Department press secretary Aaron Keller said by email MacVicar was hired because he is "a premier expert in water policy … who has dedicated his entire career to addressing challenges related to water quality and quantity in South Florida." He did not respond to a question about the funding source. According to MacVicar, the arrangement is just business as usual. He said he had a similar annual contract with Putnam's predecessor as agriculture commissioner, Charles Bronson. However, Putnam's agency took another step involving South Florida's water that shows more is going on than just business as usual. State law says the sugar companies that farm around the northern edge of Lake Okeechobee don't need any permits with strict pollution limits. Instead, they just have to follow "best management practices" in their farming. Those management practices are supposed to cut the flow of damaging chemicals to the lake. But the latest report from the South Florida water agency shows that the approach has had no effect at all. The amount of pollution flowing into the lake from the north — where half the land is owned by agriculture — is about the same as it was in 1985. A state law passed in 2016 calls for Putnam's agency to adopt ways to verify whether the sugar companies are really following best management practices. The law says his agency's rules "shall include enforcement procedures" if a farm is found not to be doing what it said it would. But Putnam's agency didn't adopt any enforcement procedures. Instead, the rules say that if any sugar company refuses to cooperate, even after repeated negotiations, the agency will report it to the state Department of Environmental Protection, but take no other action. Keller confirmed that's what the rules say, but did not respond to a question about why they are so lenient. Thanks to Putnam, said Mitchell, the environmental activist, the sugar industry faces "a toothless rule that, after giving an offender multiple bites at the apple, has no actual enforcement." She said that's "bad for our waterways and bad for our state." Times staff writer Langston Taylor and senior news researcher Caryn Baird contributed to this report, which includes information from the Naples Daily News.